Play Fruit Fall online for free now! A fruit slot like all the others? No, because with Fruit Fall the Cascade-Feature awaits you, which will let fruits rain from the reels right into your player account! Harvest the noble plums, cherries and lemons but also bells, stars and above all the 7 to fill your winning basket. 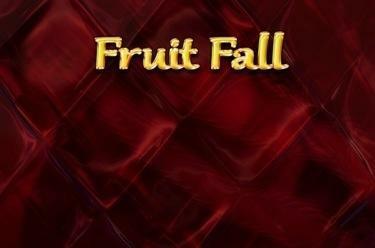 Flawless diamonds are also about in Fruit Fall, which will trigger the lucrative Cascade-Feature as well as quadruple your winnings during the fruit rain! 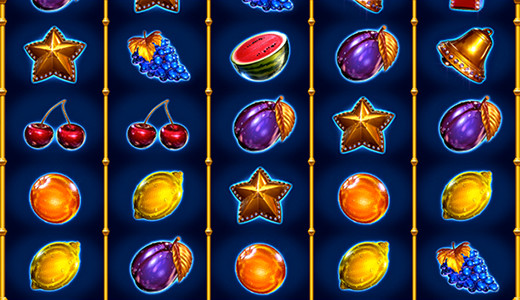 Your aim with Fruit Fall is to land 5 identical symbols side by side along 20 win lines, which are running from left to right. To win the winning combinations cannot be interrupted by other symbols. The blue and pink diamond (Wild symbol) replace all other symbols in the game and increases your winning chances. If a diamond completes a winning combination the Cascade-Feature will be triggered. Be surprised by a shower of winnings in the Cascade-Feature: If you land a winning combination in the regular game, which will be completed by a diamond, the feature will be triggered. The symbols of a winning combination will disappear during the Cascade-Feature and will be replaced by new symbols, which fall into the free reel positions. This will result in new combinations. If no more winning combinations are possible the feature will be stopped. If the pink diamond is part of a winning combination the overall win multiplier will be increased by 1 (max. multiplier x5). Fruits, Twists, thrills—what more can you want?